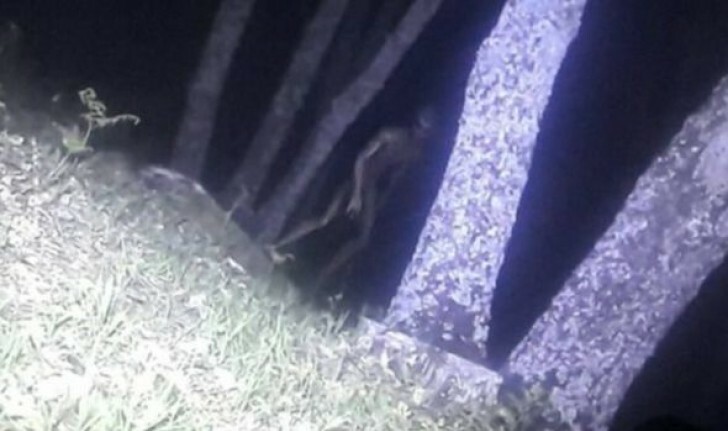 With the proliferation of cameras – especially phone cameras – supernatural beings seem to have all but disappeared. A blurry black & white photo may or may not show Nessie, but the sharp image taken with a modern smartphone leaves little room for ambiguity. That’s not to say that phones have completely banished such strange beings. In fact, they are responsible for a few X-files themselves. Put your brave faces on, we’re about to explore the unknown. Look at the images below and tell us what you see? Mysterious orbs with glowing dots that are either a part of the sphere of fly close to it. These are usually called “spirit orbs” and some claim are ghosts captured by the camera. They have been thoroughly debunked, but the typical spirit orb has some texture. Definitely no dots and they typically appear at night (as they should: they are just the flash reflecting off dust in the air). 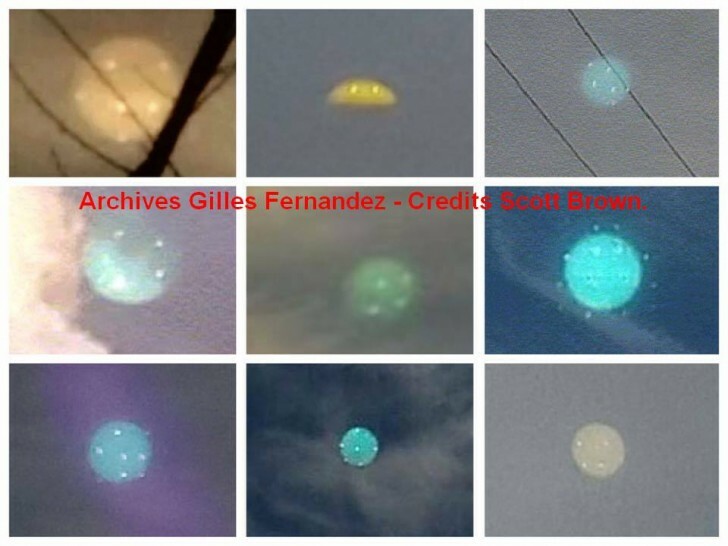 These spotted orbs appear in broad daylight usually up in the sky. 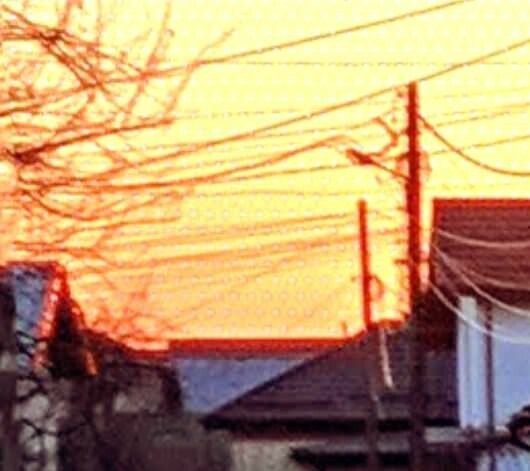 Is this first contact, UFOs come to visit (and perhaps abduct) us? The explanation for these orbs is interesting, though (unfortunately) quite terrestrial – they are an artifact of how phase detection autofocus works. 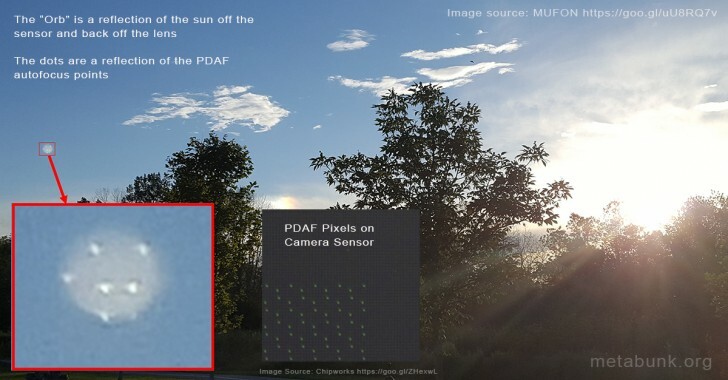 If you haven’t heard the term “autofocus point” before, they are basically special pixels on the image sensor that measure the phase of light that came in through the lens. This is used to determine if the image is in focus and better yet, if it is out of focus, the points detect which way to move the lens. Obviously, such focus points are not used to capture image data (unless it’s a Dual Pixel sensor) and the camera software paints over them. Except on some phones it gets confused by the light of a lens flare and leaves them in. This was an issue with the OnePlus 5 camera app, for example (since corrected, of course). Check out this post on MetaBunk for more details. The explanation for this is even more mundane – it’s a still from a movie trailer. Specifically the Spanish horror movie O.V.N.I. (“UFO” in Spanish). Here’s that trailer in question with money shot cued up. This was outed as a hoax pretty quickly, here’s a news article on it from last year. 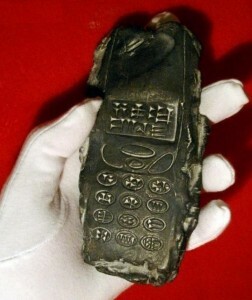 It made the rounds on the Internet described as an “800-year old archaeological find”. The Daily Express claimed it was even older, dating back to the 13th century BC(making it well over 3,000 years old). A handset that old, no wonder it’s a feature phone! A clay tablet with cuneiform script seems a bit out of place for an artifact from Austria as it’s an ancient form of writing developed in Sumer, modern day Iraq (maybe it was a well-traveled alien?). The bigger issue in this story (other than this clearly being a Ericsson S 868) is that it’s actually a piece of artwork created by Karl Weingartner for the Museum for Communication in Berlin. We hope you enjoyed this trip through the mobile version of the Twilight Zone. Maybe next year we can see is OIS-enabled cameras can take non-shaky footage of Big Foot or if dual-band GPS can navigate through the Bermuda Triangle. Maybe. No warframe and no game. I am real. I mean speaking of real its no joke. And the name of the planet was this. Eidolon. Ancient lets say alien civilization llived there before the planet suffer destruction and perished. But thats another very long story. Eidolon is also a planet in Warhammer 40,000.